Neck and shoulders hurt? Have hip and/or back pain? Our FiREBall Soft Tissue Release Tool is a good start to help cure what ails you. Keep reading to see how you can receive a FREE one! using our FiREBall Soft Tissue Release Tool, as well as giving you the opportunity to score one for FREE! We’ve all felt that nagging in our muscles and joints we know all too well as “tightness”, aching and pain. These sensations can be due to postures or positions which throw the muscles surrounding our joints out of wack – such as causing some to be in a shortened position, and the opposite in a lengthened position. This can cause the shorter muscles to be stuck in a limited range of motion (i.e. lose flexibility), the lengthened muscles to feel tension as they fight to return to balance, and the joint itself to move inefficiently and be susceptible to injury! Seeing as most of the time we can’t call upon our private masseuse to massage every kink we feel on demand, I’d like to introduce you to your new best friend, the FiREBall Soft Tissue Release Tool. The FiREBall Soft Tissue Release Tool uses targeted pressure to release adhesions, activate trigger points and allow over-stressed muscles to relax. It is durable, convenient and easily transportable. Want to win your very own? Simply be one of the first 25 people to forward this email to a friend who you think may need our help with a musculoskeletal injury, a physical therapy issue or general interest in human movement and health science! Be sure to CC us in the forwarded email and we will reach out to you to get your shipping details! One of the biggest complaints of this day and age (due to our constant use of phones or computers) is feeling tightness in our neck and shoulders. Follow the link below for a demonstration of how to FiRE Release the culprit muscle (Pec Minor), click on the HERE. 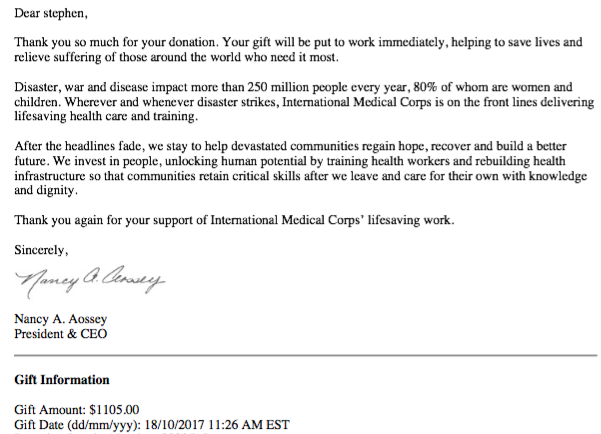 We raised $1105 for through PT 4 PR fundraiser through International Medical Corps! YouTube - Subscribe to our channel HERE. Need to See Us in Person? To easily book an appointment with us, click below! Copyright © 2017 Integrated Health Sciences - All rights reserved.